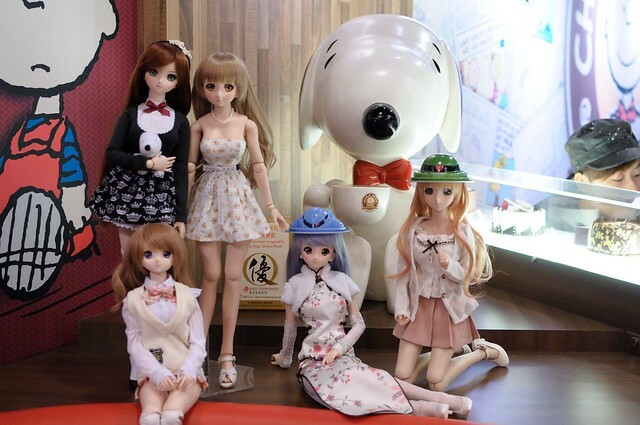 I braved the rain and heat this summer and met up with some DD owner friends in Hong Kong for a couple of little doll meets! 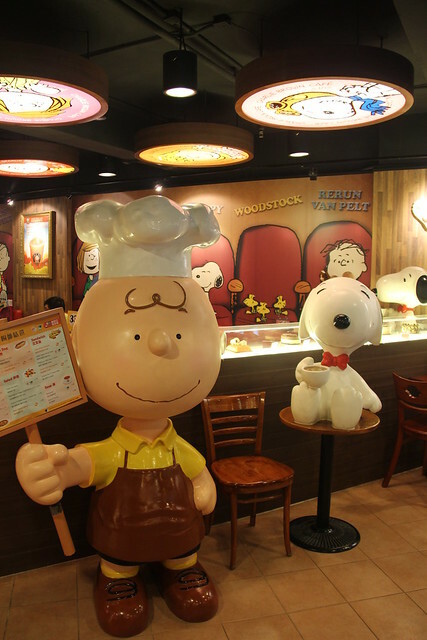 The most recent was the last weekend of August where I met up with Q, Stepswalker, TonyBSD and XOHimitsuOX at the Charlie Brown Café in Tsim Tsa Tsui. 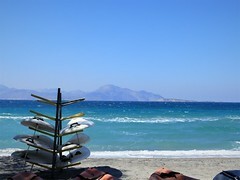 The café was a very relaxed place and we were able to hang out without feeling rushed. We sat in a big booth area that had ample space for the dolls to hang out! 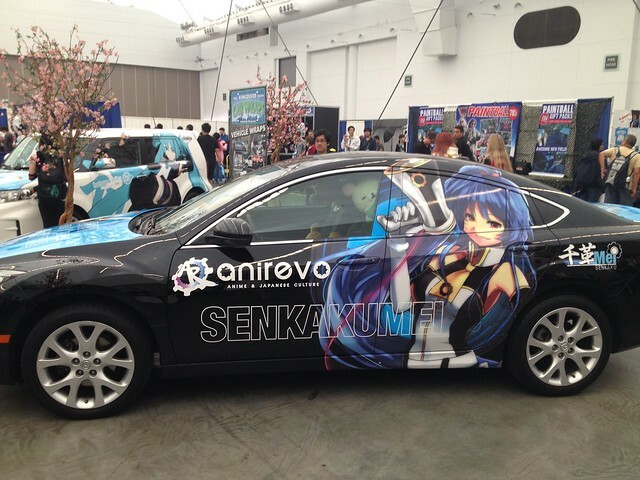 Anime Revolution 2013 in Vancouver! Earlier in August I attended Atomic Lollipop at the Japanese Cultural Center to help out with a mini version of Café Delish. It was nice to relax at a smaller convention and hang out with friends! 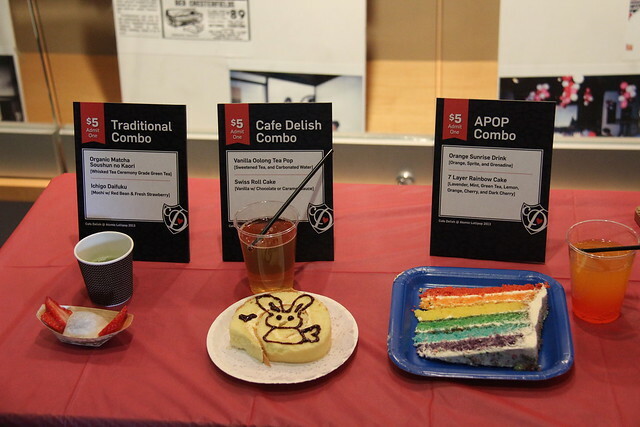 Instead of the full afternoon-tea style service that we have at Anime North, we offered three simple food combos at the convention – a traditional combo featuring tea-ceremony-grade matcha green tea and strawberry-red bean mochi, the Café Delish combo featuring Swiss roll cake and Tea-pop, and a special A-pop combo featuring an awesome rainbow cake and Sunrise Punch. Everything was delicious so it was just a matter of choosing what combo you were in the mood for!